I was wondering when I would have to do it. After the great pen catastrophe of 2009 Mackenzie got her very own "Little Miss Trouble" label. It is filled with all of the mischief she has gotten into over the years. Today marks the beginning of Wesley's "Little Mr. Trouble" label. The other day the kids were playing in their room. Aaron was cleaning up the family room. 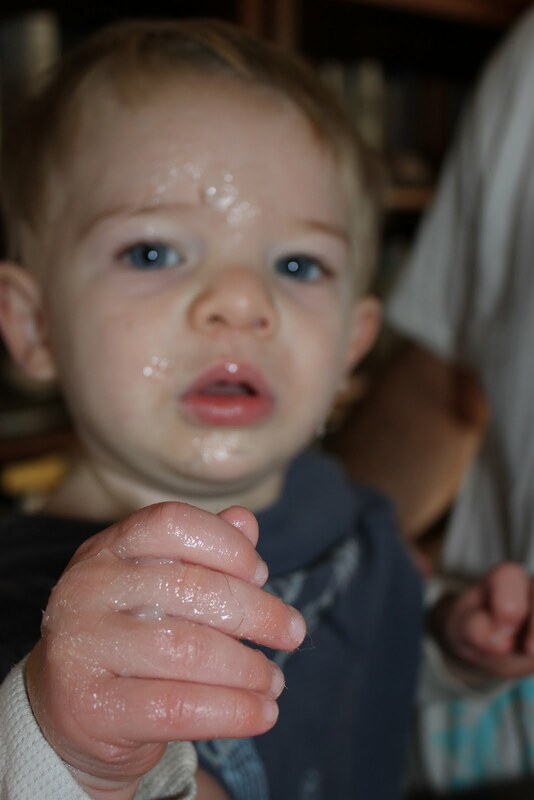 "Brother has sticky stuff all over his hands." Those words are never good. Aaron and I went into the room to find our boy lathering himself with Vaseline. and from the changing table to the dresser to get to it. Luckily this Vaseline incident had a much happier ending then the last. 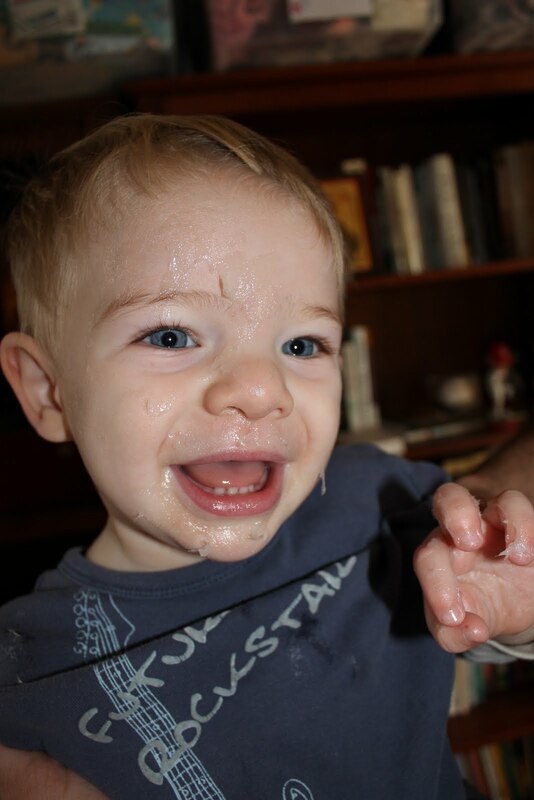 The sticky, greasy goo was pretty much contained to his face and hands. 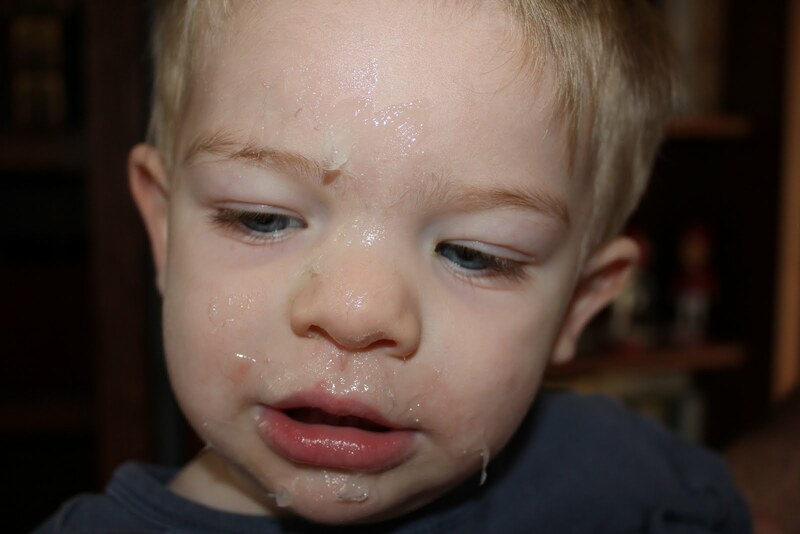 What are some things your kiddos have gotten into? Vicks Vapor Rub! It was everywhere! Funny now, but not then! My daughter got the vaseline once too, she ate a huge handful!! !, not a smudge on her lol!! After calling poison control... i just had to laugh! Toilet paper, the sand from the bottom of the fishbowl and bag of flour. I have to be thankful thought that they didn't get into trouble like I did... When I was 1 and a half my mo found me with a mouthful of stickpins! I swallowed one and they had to wait for it to "pass."